bar none group: The Barra Songbook: Angel Orozco, Jr.
Barra de Navidad's most versatile musician, the multi-talented Angel Orozco Jr. is finally getting his due after years of paying his dues. Along with this profile in the Barra Songbook, Angel was recently featured in Voices of Latin Rock as one of the key players in the Latin rock vanguard that swept Southern California and the United States in the late 1960s and 1970s. It was the days of Carlos Santana with hits like Oye Como Va and El Chicano with Viva Tirado. Angel played with both at one time or another and breathed life into Evil and Thee Midniters. He has also sat in with Los Lobos, Tito Puente, Sheila E, Linda Ronstadt and Puro Bandido to name but a few of the seminal bands and artists that Angel has toured with. 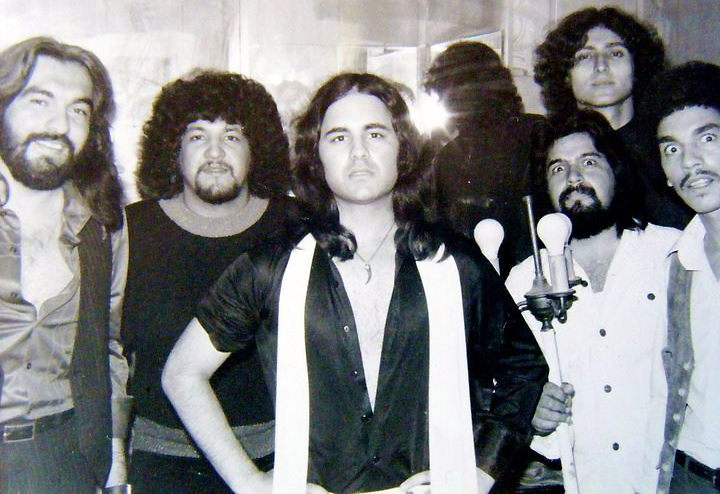 If there is a roadmap to Latin American rock from the 1970s onward Angel Orozco's name will be a crossroads at many junctions. At many pivotal turning points when bands came together, went their separate ways or blew up to combustible personalities or drug use, Angel was coming or going with them. 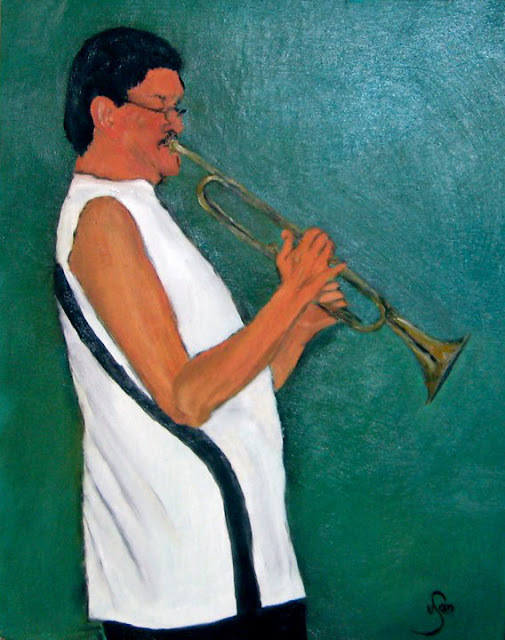 The son of a piano technician, Angel's first musical memory is playing the Call to Colors on trumpet in elementary school every morning in his hometown of Norwalk, California. The eager musical student who had been playing the horn from the age of five switched from trumpet to drums after first hearing the infectious backbeat of Wipe Out in the 1960s. Angel remembers getting paid "$25 and a meal" for his first gig subbing in on drums for a jazz quartet with his high school music teacher, John Prince. "I was in 10th grade," says Angel "and the gig was at the entrance of Griffith Park in Los Angeles." While it seems certain that John Prince was his biggest influence and supporter in his formative years, Angel lists a who's who of drummers and jazz legends as strong influences in him honing his craft. "That is a tough question, but my early influences were Louis Bellson, Buddy Rich, Mike Shrieve, Peter Erskine, David Garibaldi, Sonny Payne, Harvey Mason, Mike Clark, Steve Gadd, Billy Cobham, Leon Ndugu Chancler, George Duke, Chick Corea, Tito Puente, Eddie Palmieri, Jose Chepito Areas, Arturo Sandoval, Maynard Ferguson, and that is just to name a few!!!" Those early jazz influences helped Angel become an integral component to the 70s Latin Rock sound and of El Chicano, whose live shows were punctuated with elongated riffs, musical detours and instrumental jams that seized the moment and the audience. "I joined the band at the tail end of their complete break-up," he says of of the years from 1973 to 1976 when he was part of El Chicano. "I did tour with them and that was a blast! I am not on any El Chicano albums except a recording that I did with them that was for a movie that did not pan out. But I do still have that 1975 recording with me," he says appreciably. Of El Chicano's late helmsman Bobby Espinosa, Angel recalls fondly that, "Bobby Espinosa was a great B3 organist, band leader, and most of all a good friend." 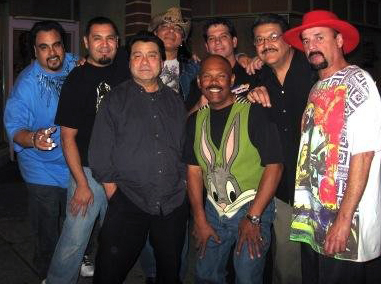 Angel (second from left) with El Chicano circa 1975. Always the consummate musician, Angel's versatility was often called upon to sub in for wayward band members in the burgeoning SoCal Latin rock scene of the day. The versatility that he exhibited with El Chicano and others is still evident today. As I mentioned to Angel in our discussions for this article, I first heard him perform live in Barra on trumpet. The next time that I heard him play he was on keyboards. The time after that he was playing percussion. The one constant in Angel's music is Angel's love of getting crowds big and small to feel the music. "I just performed for a private golf course for the Manzanillo Rotary Club last week and that was the last gig for this season," Angel says before adding, "at least for now!" His solo shows in the Jalisco area see Angel performing original material from his latest CD Pyramid in the Sun. He accentuates his repertoire, polished by five years of solo work with old rock and jazz standards in homage to his influences. Angel will also throw in a little Sting and Santana for good measure. When not performing his well received solo shows, he makes time for local and visiting musicians. "I also play the bass for Mike and Simone when they come from Canada during October to April. There are times that I am asked to play with Lalo and other musicians when they are in need of a drummer, bass, piano, percussionist...or trumpet." As with most local musicians, the summer rains and doldrums in Barra de Navidad are cues to head north and be lured away by summer festivals and lucrative gigs. "I sometimes go back to San Francisco to perform with some bands that I have recorded with like, Jorge Santana and Puro Bandido." Angel has played north of the border with Puro Bandido since 1984. A little further up the Pacific coast in Seattle is, "my own band, Orozco" that Angel founded in 1997. Angel, second from right, with Puro Bandido. But no matter how far the road takes Angel he has been returning to the shores of Barra de Navidad since February of 2008. "I have my parents and brothers that live here now and also lot's of other Orozco's scattered throughout Mexico. From Cancun, to here in Jalisco and the U.S.A.!" There's family, there's work and there is quality of life. Angel balances them all. He has paid his dues. And the consummate professional is now getting paid his due. Your coordinates were fwd to Angel. Thank you for dropping by.